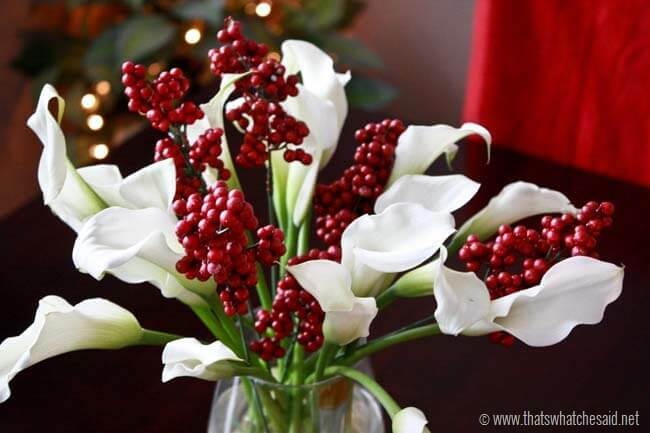 5 Ways to Style a Bouquet for the Holidays! 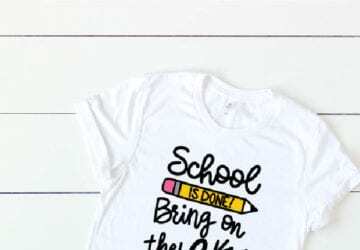 Thanks to The Bouqs for sponsoring today’s post. All opinions are 100% my own. 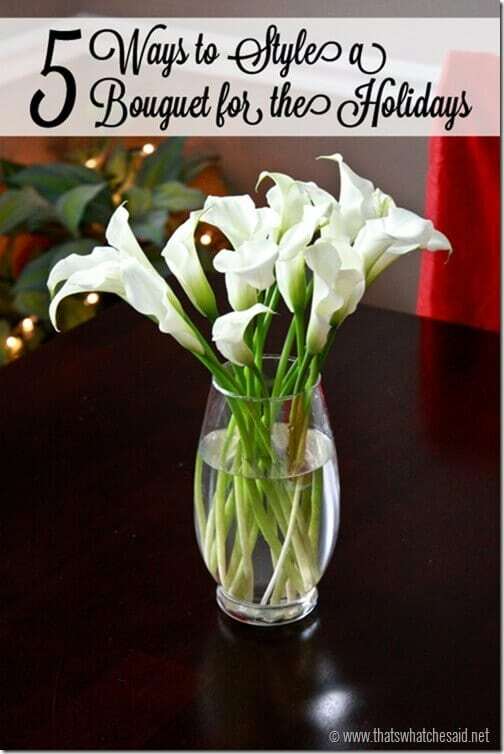 I adore fresh flowers! Don’t you? 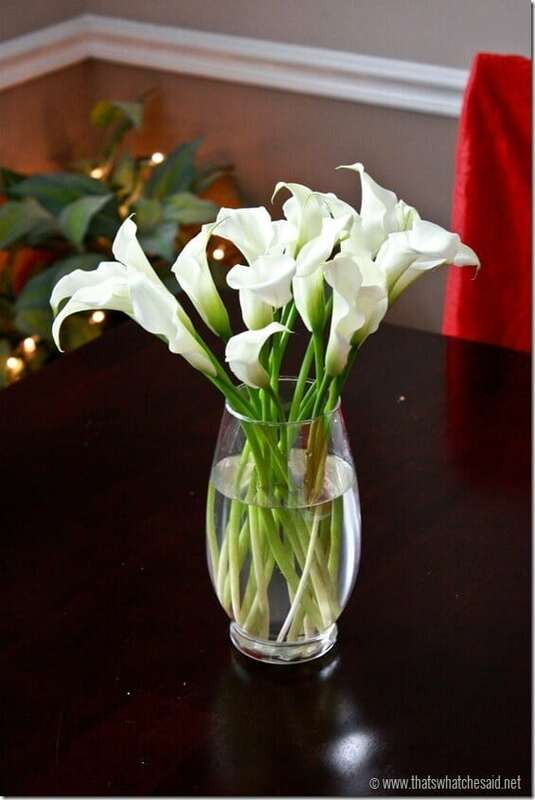 And although I LOVE holiday flowers (poinsettias for example) there is something about calla lilies that just draw me. When I was given the opportunity to order my choice of bouquet from The Bouqs’ Volcanic Collection I instantly knew which ones I was choosing :) I want to show you, though that you can still style what would be considered spring flowers for the winter months! 1. 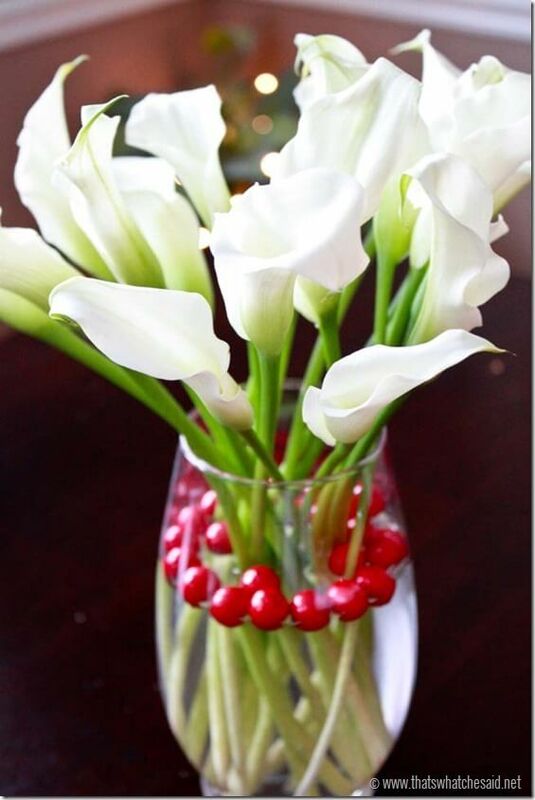 Set your vase in a bin or tray filled with pine cones and ornaments! 2. 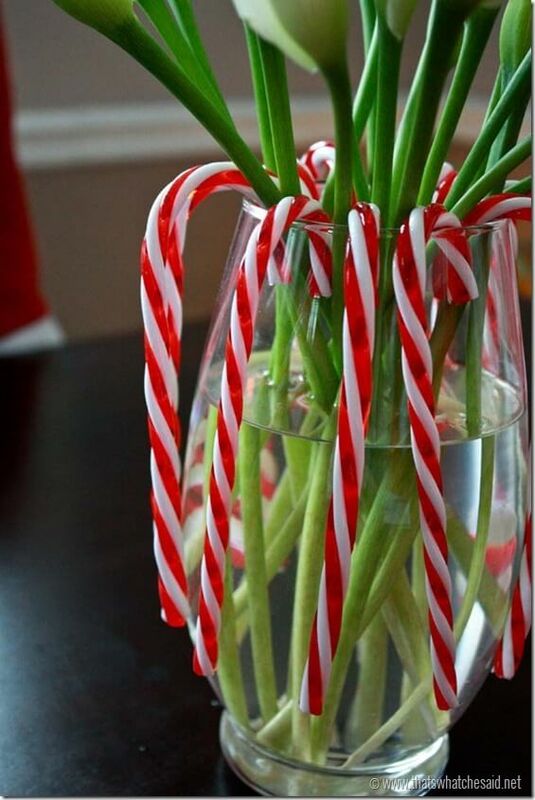 Use some plastic Candy Canes (from Dollar Tree) to hang around your vase. 3. Float some Berries in the water. I wanted to use fresh Cranberries, but we had a bit of snow storm and I didn’t make it to the store! 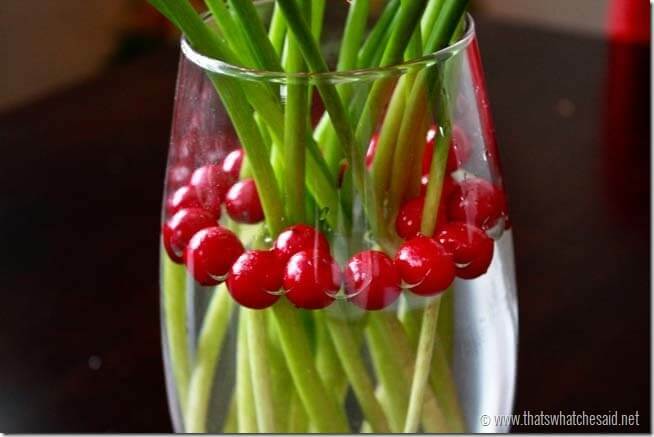 No fear…these fake berries from an wreath embellishment stalk works great too! 4. I used some extra fake berry sprigs that I had left over from last years DIY Berry Wreath. I simply cut them from the stalk and placed them in the vase. I love the way the red and white contrast each other. 5. Last and not least…au natural. Just like they come. Simple. Beautiful. Perfect. Ordering my Bouq was incredibly easy. 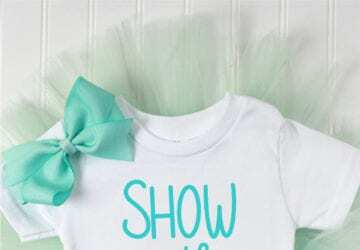 Shipping is included in the cost and they are delivered in about 6 days. Did you know that these fresh flowers don’t arrive from a warehouse somewhere…they ship straight from an active volcano or from the sunny surf of California, seriously, how cool is that!? The Bouqs cut only what they sell and they source only from eco-friendly, sustainable farms that respect the environment and their workers! Love what you see about The Bouqs and want to brighten your or a loved ones holiday table? Create an account to receive a 20% off promo code, then order your favorite Bouq for your holiday table or to give to a loved one. Bouqs are the PERFECT holiday gift for loved ones or for your host/hostess for the holidays! Send some sunshine this holiday season! So tell me…which of the 5 options above is your favorite? Thanks to The Bouqs for a beautiful delivery! 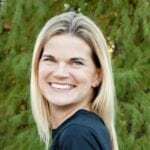 Celebrating my 25 Days of Christmas Series today with me is Denyse from Glitter, Glue & Paint! 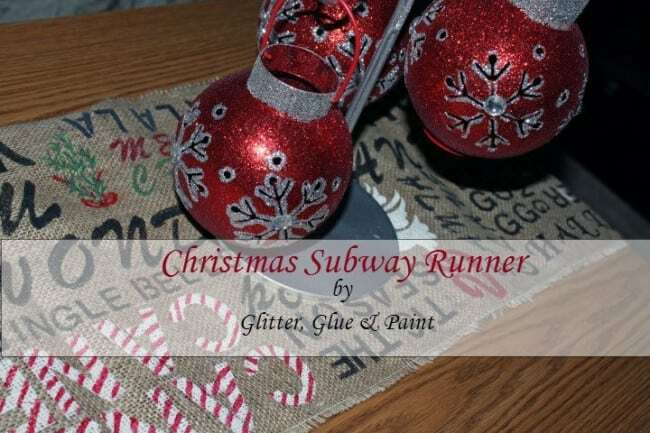 She is sharing her tutorial for this gorgeous Christmas Subway Runner! I thought I loved the pinecones and ornaments until I saw the floating berries! The white with the red is just breathtaking! 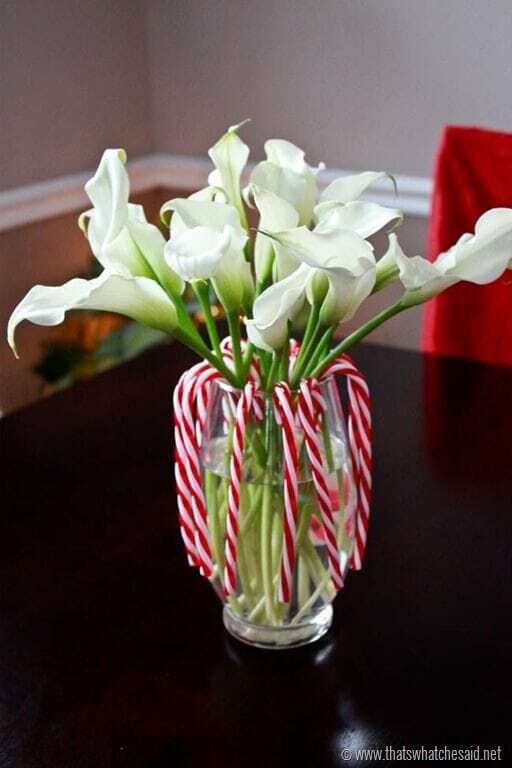 Calla lilies have always been my favorite flower too! Such a classic look! 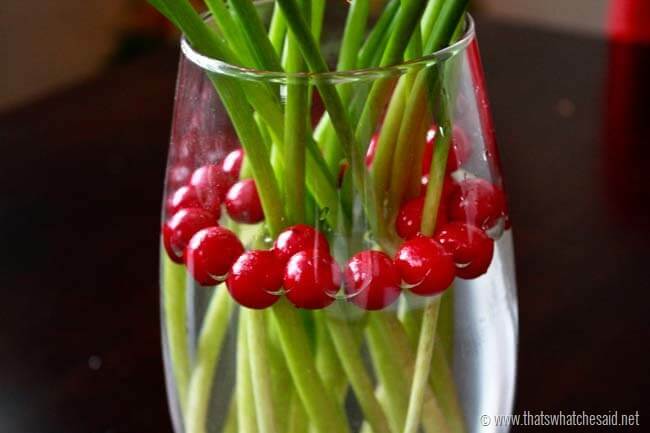 I love-love-love the floating fake berries! They’re so festive and fresh! And your calla lilies are so gorgeous. I’m envious. I love having flowers in the house! I recently got some of their roses and LOVED them!! I love your different arrangements … it totally changes the look of the flowers just to add something different to the mix! Love ALL the ideas and great photography! The faux springs are probably my fave! They are all beautiful choices but the au natural is my favorite! 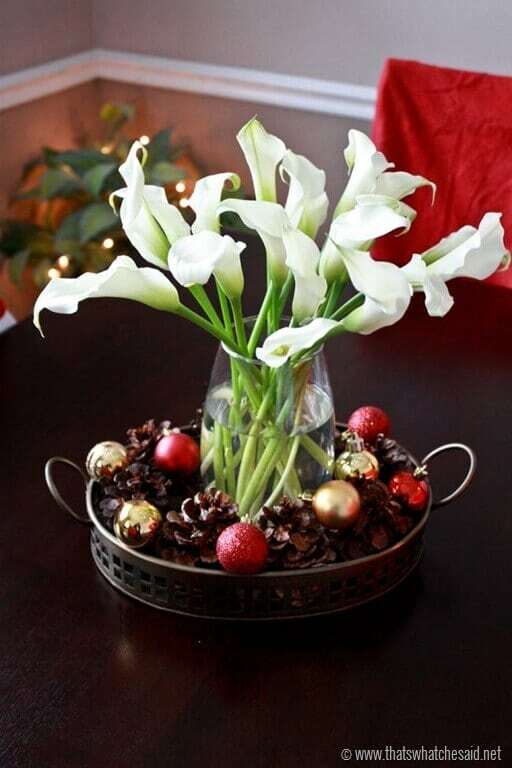 I love the vase in the tray of pinecones. They are all lovely! 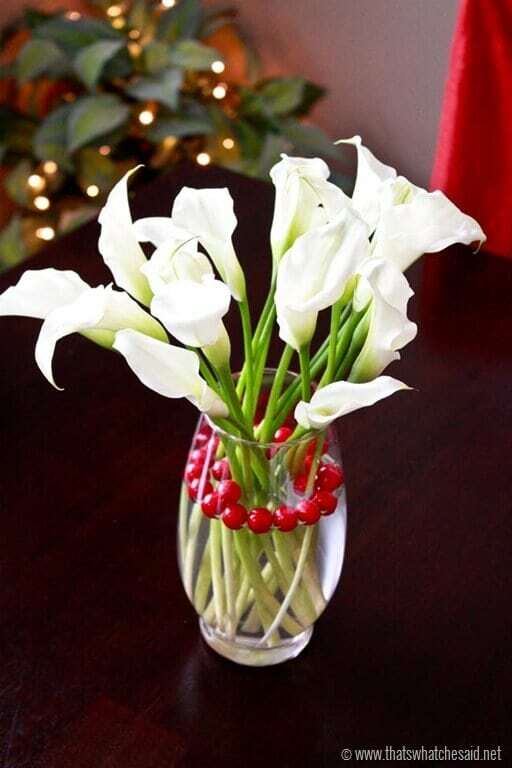 White calla lily’s were my wedding flower!! Gorgeous bouquet!! Nothing is better than fresh flowers on a table! So many great ideas Cheryl! 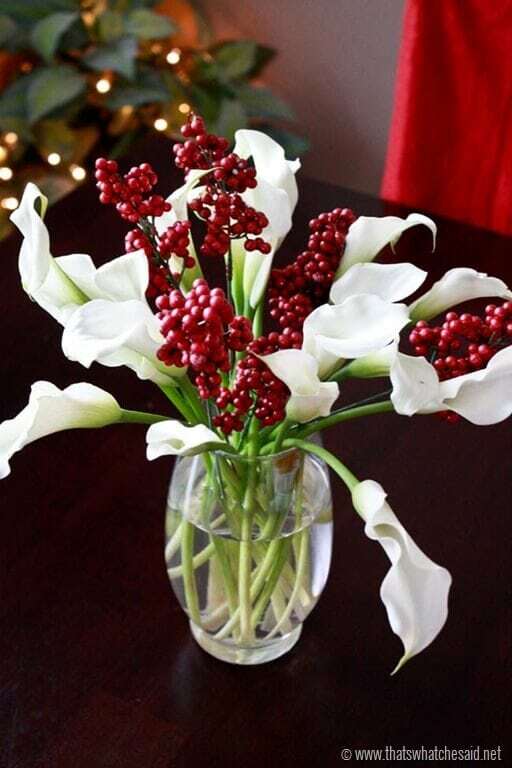 I especially love how the white flowers, green stems, and red accents look together. The cranberries are so simple and cute. I’ll have to remember these!